HOME / BOOKS / BATTLE OF THE BOOKS: WHAT INDIAN MYTHOLOGICAL FICTION TO READ NEXT? Romance novels, science fiction, and plays all have their place, but there’s something about mythological fiction that attracts almost every single one of us. True, right? Especially when it comes to reading Indian mythological fiction! We’ve been asking ourselves what’s so special about this genre and after reading several books about it, we came to this conclusion: they are magic. Plus, you can never get enough of them! And since we spent a lot of days reading Indian mythology books, it only seemed fair to do a review our three favourites! We are huge history nerds and it is not easy to please us! But we have to give it to Amish, he does justice to historical (and mythological) fiction. Perfect for amateur readers and bookworms alike, his Shiva trilogy has been a favourite among Indian masses and for a reason! From the finest details about culture to historical incidents, the author Amish Tripathi explains all of it in his simple and engaging writing style. 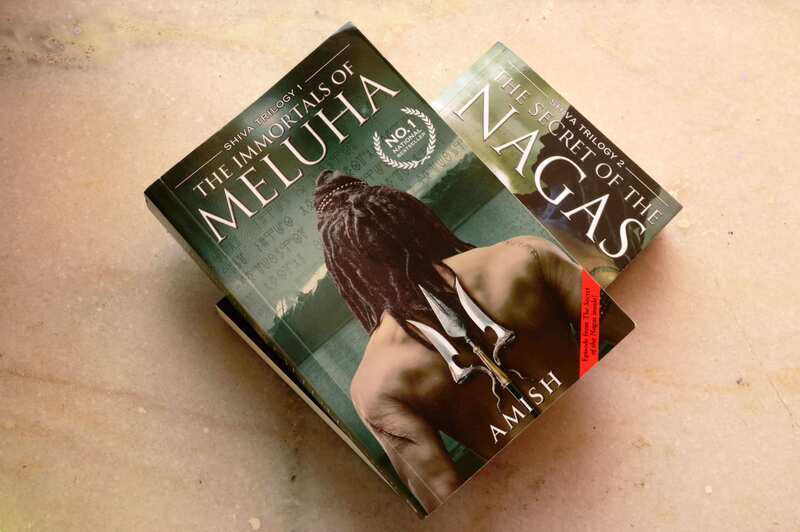 Although we wouldn’t recommend ‘The Immortals of Meluha’ for its literary value, but definitely for its plot and portrayal of the period it is set in! Read the first one and you will soon want to read the other two from the series as well! Who doesn’t like stories being told from an alternative point of view? Especially when it’s from the Kauravas’ perspective, like in Anand Neelakantan’s book ‘Ajaya’. Followed by a sequel, this mythology book is truly one of a kind! The best part about the book is how it gives us an insight into the villains of the Mahabharata and teaches us that things are never just black and white. And Anand Neelakantan’s way with words does justice to this kind of unique storytelling! Reason number one: Devdutt Pattanaik! The king of Indian mythology, Devdutt Pattanaik made us his lifetime followers with his retellings of Ramayana (titled Sita) and Mahabharata (titled Jaya). Reason number two: the title! Who can ignore such a catchy title?! Reason number three: It is literally one of the most intriguing books we’ve read recently. And the story is just too fabulous to pass up! Trust us, this one definitely deserves a spot on your reading list! Confused with books? Our Wednesday book review section will always be here to help!